A Violence Free Future continued its series in the eastern part of Kosovo with two parallel events gathering more than 200 participants of ages between 14-22 and several speakers, who discussed together topics as Violence, Tolerance and Respect. These two events were held in two municipalities, first in Ferizaj and then Gjilan, containing two different panels, games and other social activities which aimed to educate the participants regarding tolerance and incite them to turn their ideas into practice. Through the ‘Panel of Tolerance,’ participants had the opportunity to talk, ask questions and be active in discussions about violence, tolerance and respect, extremism, leadership and to share their knowledge and experience with others. 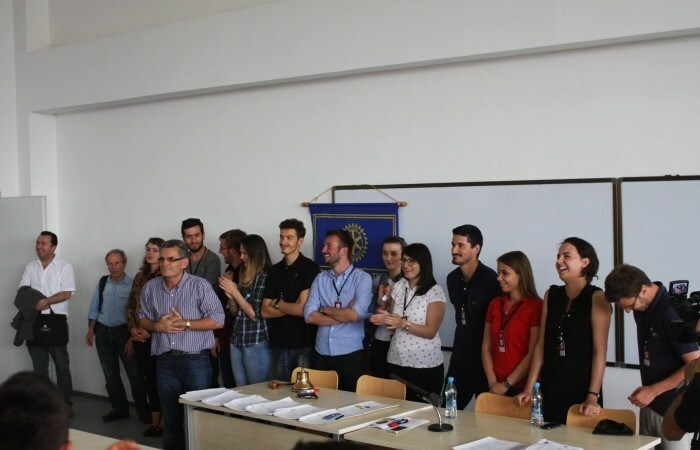 Interesting speakers such as: Rand Engel – Balkan Sunflowers, Remzije Duli – B.E.N, Leutrim Ahmeti – Rotaract Ilyrian, Sylë Alaj – Rotary Club-Prishtina, shared their stories with the audience during the panels and discussions. In addition, all participants of A Violence Free Future event had the chance to attend interesting workshops called PLAY2EDUCATE. Through the outdoor games and activities, participants were taught that violence is not the answer, learned what it is like to be with no rights, how to abolish discrimination and how to find easy solutions for daily problems. These two events ended this circle of activities of this project for a while. A Violence Free Future will be back on September, when it will start with the other editions in different cities of Kosovo. Until then, stay connected with us virtually! Subscribe here to get the latest updates.